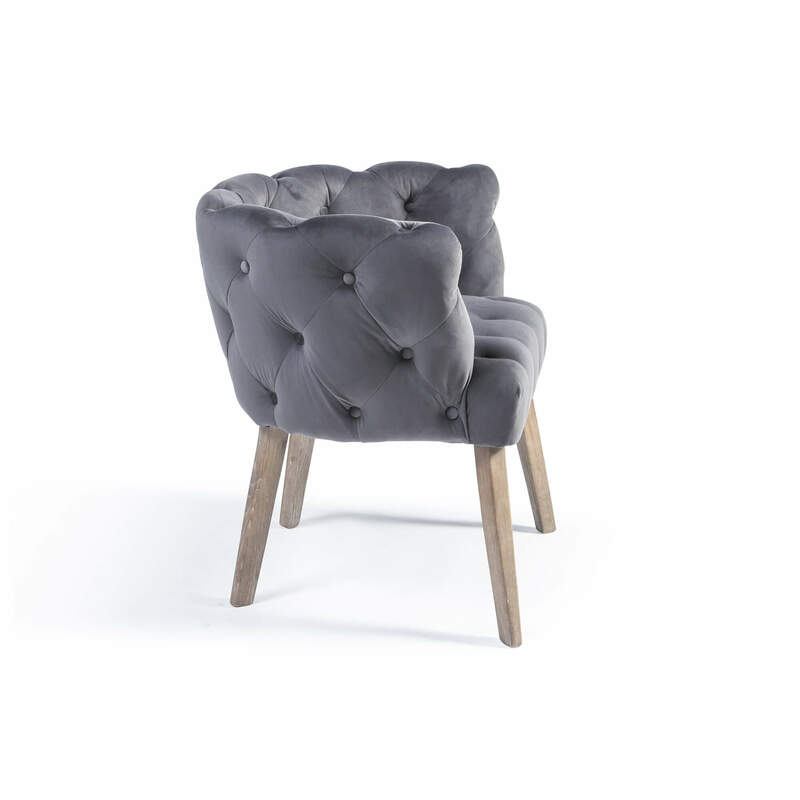 This Richmond cool grey brushed velvet button back arm chair is a beautiful piece, this can either be used for a dining chair or even a occasion chair. 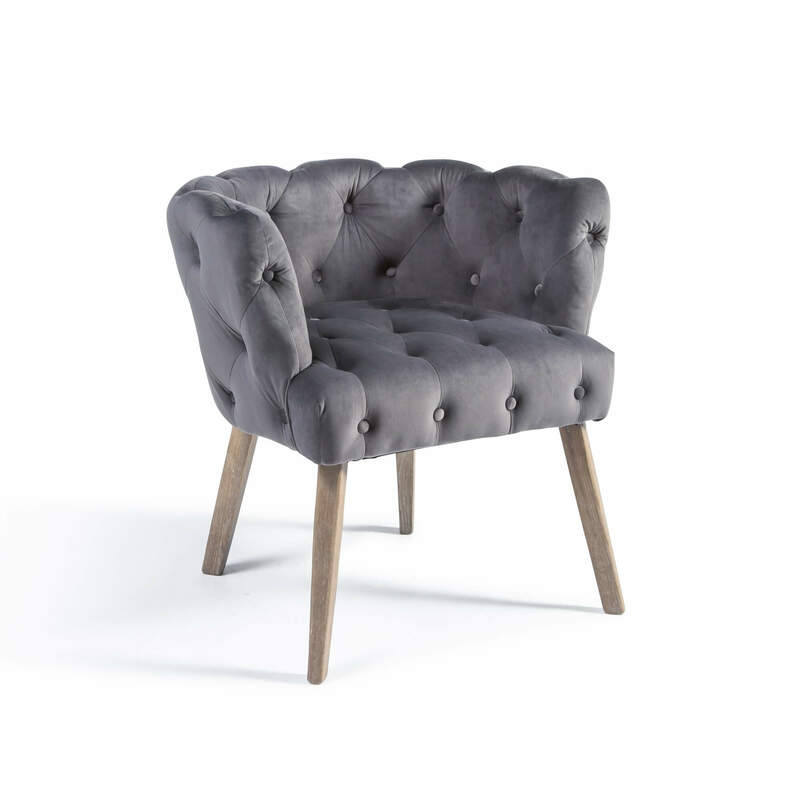 The legs are finished in a white wash patina, the detailed buttoning encompassing the upholstered section of the chair. 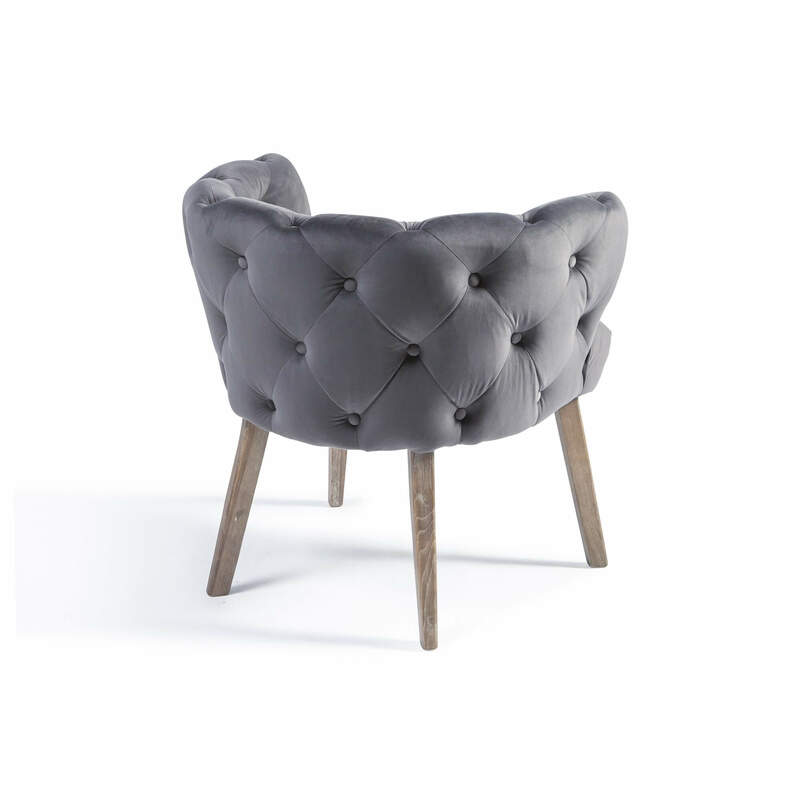 A real show stopper that adds a touch of glamour to any room. Our Richmond dining chair cover is made of velvet which, through a traditional weaving technique, gives the fabric a warm, deep colour and a soft surface with a dense pile and light, reflective shine. 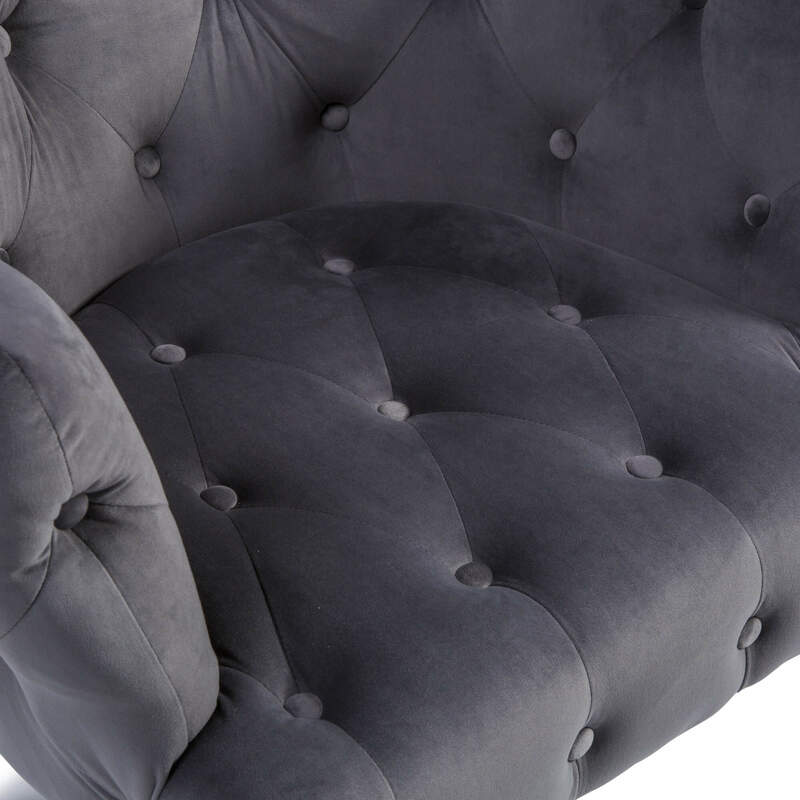 This velvet is a soft, luxurious fabric that is resistant to abrasion and easy to clean. Please Note: This chair requires no assembly.